As a franchise owner, you have put a great deal of time and effort into building your business, establishing local contacts and vendors, training employees and tirelessly serving your customers. When it comes time to sell your franchise business, you want to find the right buyer and maximize your return. Auto repair specializing in exhaust and brake service, tune-ups, oil changes, shocks and strut replacements. Current location has 21 years as a car care center. Steady increase in sales and top 10% of franchise for the last six years. Offers one-stop model that today's consumers are looking for. Meineke franchise offers over 900 franchise locations. Marketing established by corporate office. Together both franchisor and franchisee share the advantages of a nationally recognized name with a strong image, broad range of services, hands-on training, and a system that's geared to business success.This is your chance to avoid the build-out phase and become a franchise owner today! Click here to see this franchise and more. You probably know how hard it is to sell your business on your own. So where do you turn for your franchise resale? Franchise companies are in the business of selling new franchises, and usually offer little assistance to franchisees wishing to sell. Business brokers can help, but they’ll take a hefty 10-15% of your sale price. And if your business is worth less than $1 million, they probably won’t be interested. With 5 Levels of Service to assist you, we offer a full spectrum of service and expertise: from our self-serve Crown Listing Services to our full-serve Gold Service; with Blue Ribbon, Silver and Bronze levels in between...at prices that beat just about anything else out there. That means you’ll save thousands of dollars and reap the rewards of your years of hard work! We have been helping entrepreneurs, investors, franchisees and franchisors throughout the country for years to obtain financing for start-up, acquisition, expansion and refinancing for their franchise business. We’re experts at pre-screening business financials to help determine loan potential, even before we have a prospective buyer. Our expertise in this area will help you determine the best asking price for your business, strategize a plan of action to maximize your return on investment and sell in a timely manner. It's easy to get started. If you're ready to make the move to sell your franchise business, or if you are interested in franchise acquisition, we have several levels of service from which to choose. 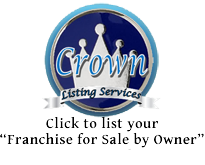 From our self-serve Crown Listing Services, to our more personalized, direct levels of service, like Gold, Blue Ribbon, Silver and Bronze we can meet all your needs in selling your franchise. 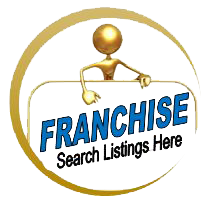 You are always welcome to mail or call us: contact us today via email, or call toll free 888-US-LOCATE (888-875-6228), and let Franchise Buyer Direct locate a buyer for your franchise business! Thank you for all the great advice and assistance you gave us which got our motel sold! We never could have done it without the national exposure we received through your efforts. Your assistance with pre-qualifying possible buyers saved us a lot of time and helped determine which buyers were serious prospects. We're certain our place would still be on the market if we had not used your services. Thanks again for helping us move on to the next phase of our lives! Your knowledge of franchising made the transaction of our LA Boxing smooth and tireless. We appreciate all your hard work and dedication!